Best BlackBerry phone - which should you buy? Which is the best BlackBerry phone for you? lackBerry's fall from grace is well documented, going from the heights of being the only business phone option, to a point where rumours about a split between OS and handset functions have to be denied. As we all know, Apple came in and stole the limelight, with a phone that RIM said was impossible. Looking to the future, however, RIM is pushing BlackBerry forward, determined to not be bogged down by poor fiscal earnings. BlackBerry 10 devices are on the horizon, although word is there are only going to be a few initially, prompted by accusations of having too many devices at any one time. Whilst BB10 is still some way off, BB7 graces today's BlackBerry devices. This is by no means a bad thing; BB7 is a strong operating system and comes on some high-end hardware too. BlackBerry handsets are still at the forefront of burgeoning technology, such as near-field communication (NFC), with reports that BlackBerry devices make up 80% of all NFC- enabled devices. Plans are to grow NFC even further, with Geoffrey MacGillivray, Manager for Security Services, Payments and NFC at RIM telling us at BlackBerry World 2012, that RIM is "looking to put NFC technology into every upcoming BlackBerry handset." So what devices are available for you today? We've assimilated our vast knowledge into one handy guide, so here they are. Following in the footsteps of the BlackBerry Bold 9700 and 9780 devices, comes a worthy successor in the form of the BlackBerry Bold 9900. Alongside a sharp touch-screen comes NFC, all built on top of the tried-and-tested (and exceptional on the BB Bold range) keyboard. All round, from the web experience to general use, we can say this is the best BlackBerry phone to date. Brother to the Torch 9860, RIM decided to make this offering more in line with the original BlackBerry Torch device, providing a slide-out keyboard to go with the touch screen. Whilst we can't work out the exact demographic for the BlackBerry Torch 9810, we can say that it comes with a decent screen and battery life - ideal for media - and a fast processor to make web browsing smoother. Released alongside the BlackBerry Torch 9810 comes RIM's first purely touchscreen device. The 3.7" touch screen with Liquid Graphics technology helps to make the interface seem fluid under touch, with the 1.2GHz processor working behind it to keep everything going. All this together means the BlackBerry Torch 9810 works well as a mid-range media phone - although there are few who will be willing to ditch the keyboard on a BlackBerry. RIM didn't stop with just the Torch 9860 for a full touch-screen device. Coming a few months after, BlackBerry brought the touch experience to the budget end of its Curve range, coming in at around the same price as the Curve 8520. For such a modest price, you do get 3G and A-GPS functionality thrown in as well, balanced with compromises on the CPU and lower-resolution screen. Should you decide that you have a few extra pennies lying around, the BlackBerry Curve 9320 is still a very creditable alternative budget phone. It even brings along some high-end features such as DNLA, FM Radio and Wi-Fi hotspot capabilities. For the price, we weren't expecting the Curve 9320 to rock the world, but it does a decent job for such a low price tag. Whilst we may not have been as excited about the BlackBerry Bold 9790 as we were the Bold 9900, we were still left with a smile on our faces. RIM made a smaller device here, meaning that there is less of a bulge in your pocket, perfect if you enjoy skinny jeans. The BlackBerry Bold 9790 doesn't skimp on the specs either, managing to cram a decent touch screen, as well NFC, into the smaller chassis. Check out our full BlackBerry Bold 9790 review here. Being another Curve device, you'd probably expect the BlackBerry Curve 9360 to be another budget handset, and you wouldn't be far wrong. Whilst being the most expensive Curve on this list, you are rewarded with some significant upgrades - plus it's one of the most smartly-designed mobiles out there in our opinion. 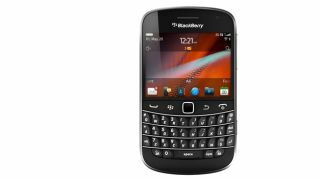 On top of other features, the BlackBerry Curve 9360 brings a nice sharp screen, as well as a 5MP camera and NFC technology. Despite having been around for a while in smartphone terms (our original review is fast approaching its third birthday), the BlackBerry Curve 8520 still remains a relatively decent budget device. Don't expect the world though, as you'll find no 3G or GPS – these have been omitted to keep costs down. Available on PAYG for under £90, and on contract for around £10pm, the Curve 8520 is an ideal phone for beginners, those on living on a shoe string, or as a backup device but be wary: this is starting to really age as a handset.